Mary Bremner explains why traditional tweed is better than ever and picks her six favourite tweed shooting coats currently on the market. 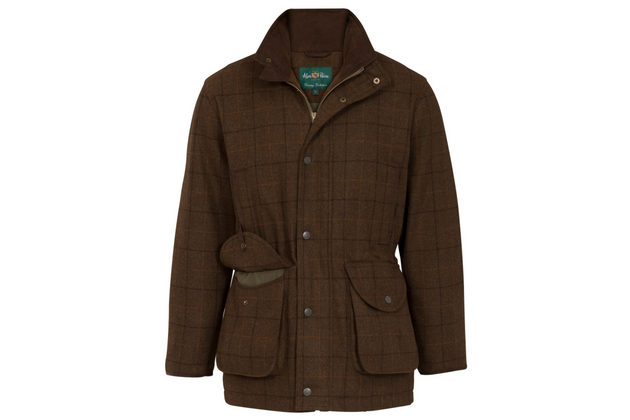 Tweed is a quintessential fabric traditionally beloved of the fieldsports community. In days gone by no one wore anything but tweed, but it was then usurped by the new kid on the block Gore-Tex with its breathable, waterproof qualities. 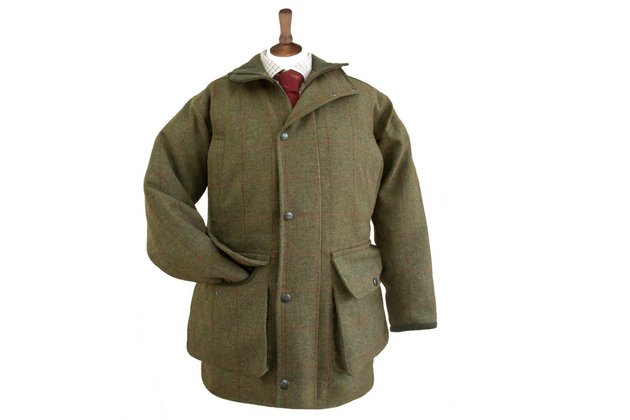 What’s more, British-made tweed shooting coats support local industry and helps keep the home fires burning. Here are six of the best in no particular order. Hard-wearing, water-resistant and flexible, this stretch, technical tweed coat is made from Scottish lambswool tweed, Lycra and polyamide to allow for plenty of freedom of movement, helped by its articulated sleeves. An extra Teflon coating helps prevent staining. The coat is waterproof and breathable. The jacket has all the pockets you could ask for, a storm flap over the zip to help keep the rain out and inner Lycra cuffs for the same reason. 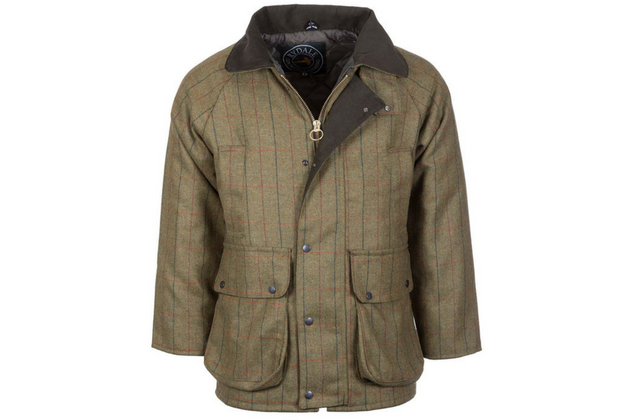 Designed for the shooter, this tweed shooting coat is waterproof and breathable with a water-repellent pure wool outer. The waterproof and breathable membrane keeps you warm and dry in even the most adverse conditions. Two good cartridge pockets with eyelet drainage holes are easily to hand. Hand warming pockets with flap retainer straps hold the cartridge pockets open. Arms are fitted with waterproof windbreaker cuffs. The jacket has been designed with an action pleat allowing plenty of room to swing the gun. Available in sizes S to 5XL in five different tweeds. This jacket is made in Britain and customer feedback has prompted a few tweeks to make the fit, quality and comfort just right for the shooter. The loose fit allows plenty of room to swing a gun. Two large cartridge pockets allow for plenty of space. No, there aren’t extra pockets or retainer straps to keep the cartridge pockets open but at this price what can you expect? What you do get is a hard wearing, durable shooting jacket that’s stylish, fit for purpose and warm. Available in five different colours in sizes XS to 4XL. Butler Stewart has built up an awesome reputation for producing good quality, fit for purpose shooting gear in just three years. They use British fabric – linings and tweed – and most of their garments are tailored in England. You can tell this jacket has been designed by a shooter, it’s cut superbly, with plenty of room to move. The pockets are large enough for big hands to get in and grab cartridges. The waterproof membrane means it’s fully waterproof. This individually cut, practical jacket will last for years. Available in sizes S-XXL. Launched in September 2018, the Farlows Tweed Field Coat is made in England from a high twist, compact tweed that naturally repels moisture. 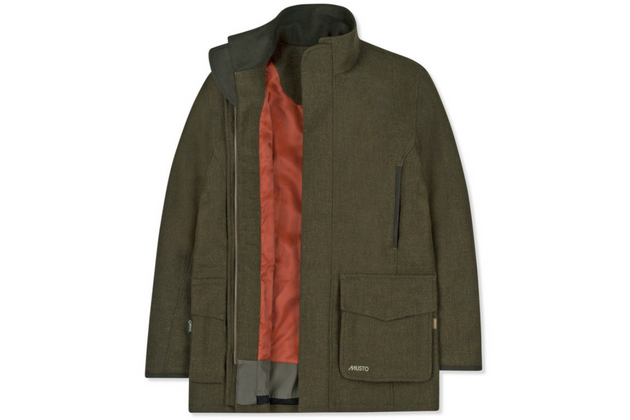 This hard-wearing practical coat is perfect for shooting. Interlined with a waterproof, breathable lining which keeps the wearer dry and comfortable. The snaps on the garment are all rubberised to protect gun stocks from scratches. The tone of the new tweed colour is suitable for moorland and grassland so suitable for all types of shooting. Available in sizes: XS to XXL. 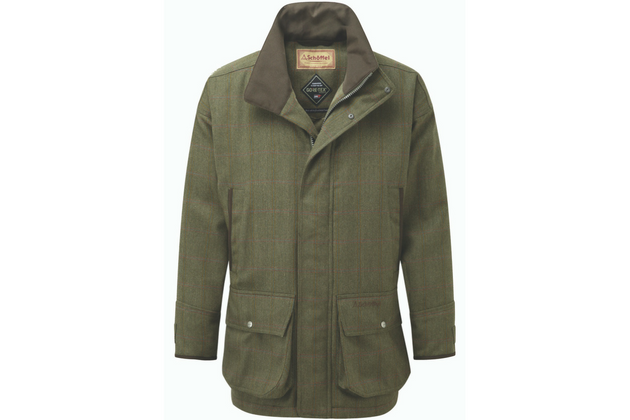 Made from British tweed this coat is fully waterproof and windproof with a Teflon coating to make it stain repellent, and a Gore Tex lining to make it 100% water and wind tight. The Sandringham tweed is a classic green that will fit in wherever you are shooting. The cut is loose for ultimate lift and there are plenty of pockets for cartridges, hand warming and internal pockets for phones and keys. 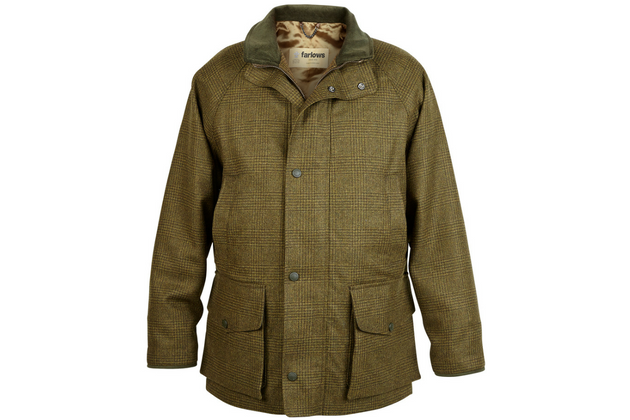 It’s a smart jacket, will last for years, and what’s more, it’s machine washable which is ideal for a shooting coat, and unusual for a tweed one.